Date night is a really special night for me. I love spending time with Ryan, we are both very busy with work so time together means everything to us. We went to London for the day on Saturday. We are very lucky to live so close to the city, with it only half an hour away. Our first stop was to Selfridges, one of my must see places in London. I could spend all day here as there is so much to see. We went to the corner bar in Selfridges and had our favourite cocktail, the Southside Royale. 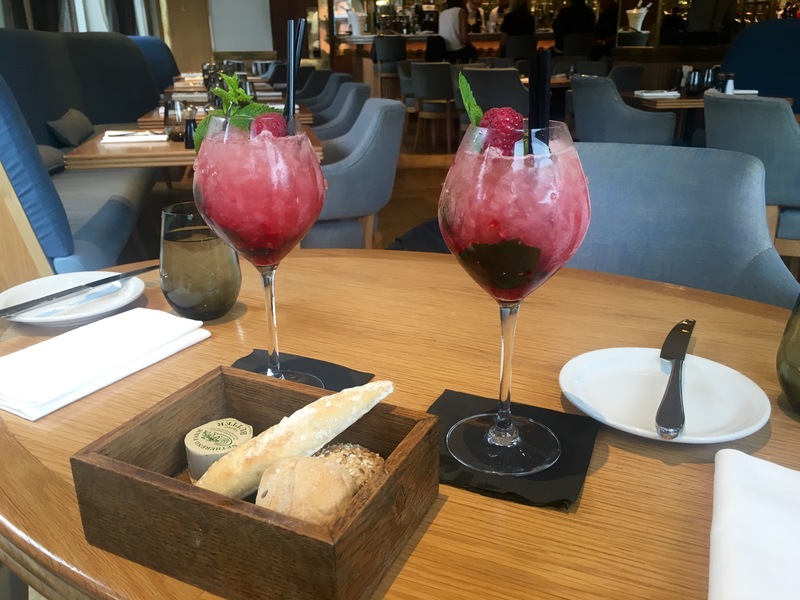 It consists of gin, champagne, raspberries and mint, it tastes divine. 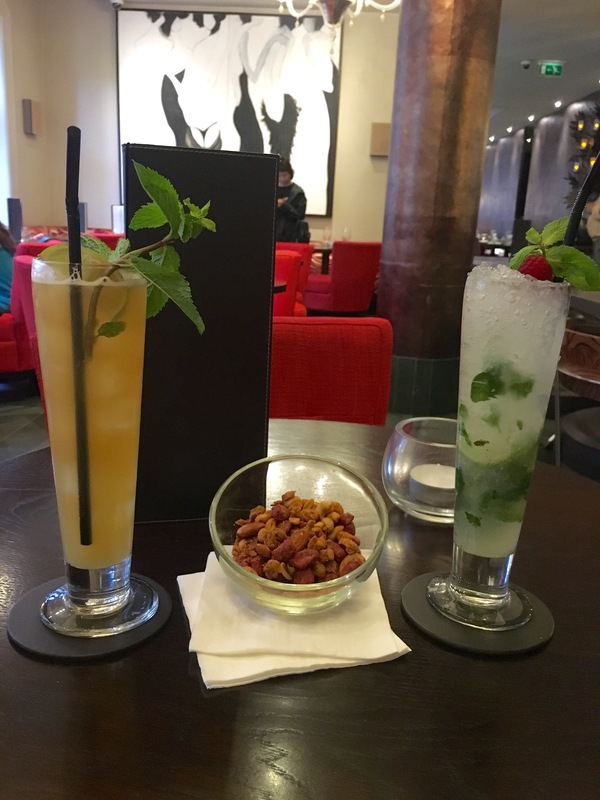 After spending most of the day looking around the shops we went and had pre-dinner drinks in the Bloomsbury Street Hotel as dinner was in the Steak and Lobster restaurant next door. I had a mojito which has been my favourite drink all summer. The restaurant was amazing, on the menu you can choose from Steak or Lobster and then there was a vegetarian option too. 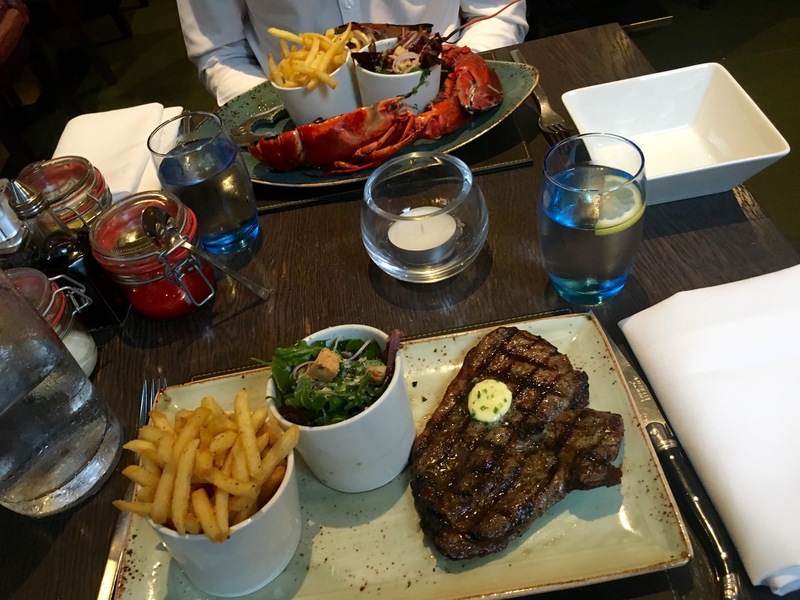 I chose to have the steak and Ryan opted for lobster. When it arrived it all looked incredible and tasted out of this world. 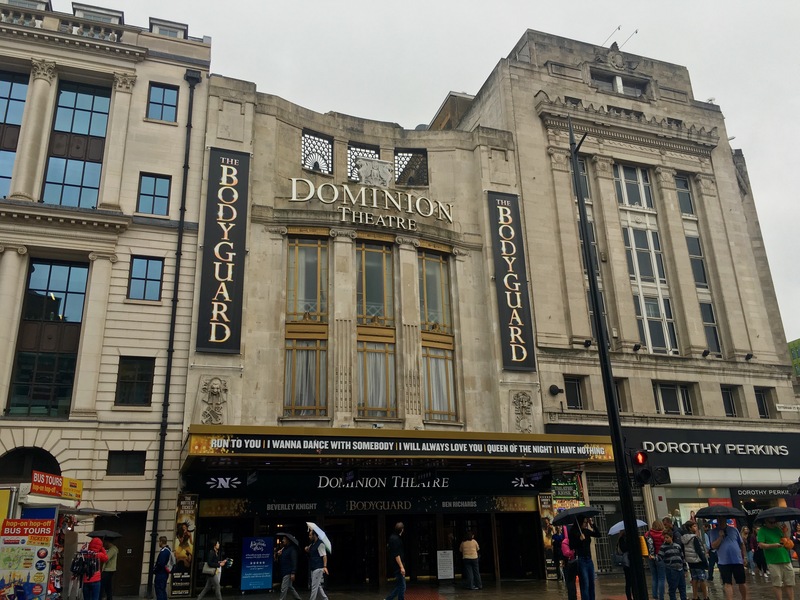 After dinner we walked for about 5 minutes and arrived at the Dominion theatre to see The Bodyguard, I was so excited. I love going to the theatre and west end shows are so amazing, I have been very lucky to see quite a few shows and The Bodyguard is definitely one of my favourites! Please let me know of any ideas you have for our next date night, I would love to hear from you. I’m so jealous you live so close to London! I would love to be able to go to London for date nights!